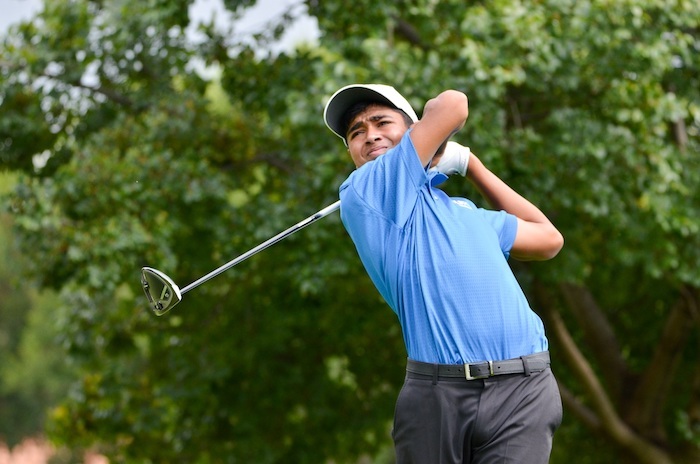 Edenglen teenager Yurav Premlall soared into the 2019 South African Open Championship via the Country Club Johannesburg Qualifier on Tuesday. Off first at the crack of dawn, Premlall sped around the Rocklands Course in six-under par 66 to set a clubhouse target that went unchallenged on Tuesday. The 15-year-old prodigy will tee it up with fellow GolfRSA National Squad members Wilco Nienaber, Jovan Rebula, Deon Germishuys, Matt Saulez and Christo Lamprecht, and amateur qualifier Nicholas Frade in the tri-sanctioned event, hosted by the City of Johannesburg at Randpark Golf Club from 6-9 December. ‘I am so excited to play my first SA Open,’ said Premlall, who then went to Randpark to walk a couple of holes with fellow GolfRSA National Squad member Christo Lamprecht. ‘I wasn’t allowed to play a practice round yet, so Christo and I walked a couple of holes on the Firethorn course. I know both courses well, but I’m looking forward to the official practice round on Wednesday. The Glendower golfer fired a trio of birdies against a lone bogey in his outward loop and pencilled a pair of threes on his card at the two par fives – 12 and 13 – on a flawless back nine. ‘My round got off to quite a shaky start,’ Premlall said. ‘I missed the green on the first, but got up-and-down and from there the round started to flow. ‘I made birdie on the third, and just continued on. Made a great birdie on six. It’s a par three that played quite long. I hit 4-iron in and holed a 10-footer for birdie. Unfortunately I dropped seven, but I hit a great approach shot on eight. That flag was quite tough, so I was glad to make birdie there. Premlall has enjoyed a stunning breakout year, rocketing to 13th in the Open Amateur standings and 10th in the junior standings. He announced himself early in the season when he chased fellow Ekurhuleni junior Casey Jarvis all the way to the finish line in the Nomads SA Boys U15 Championship. At just 13, Premlall was the youngest starter in the SA Stroke Play Championship in February, and upstaged many of South Africa’s top amateurs, and some high-ranking global talents with a top-13 finish at Pecanwood Golf and Country Estate. Budding confidence saw him close out six top-10 finishes in seven starts on the junior circuit and top-five finishes in the Northern Cape, North West and Southern Cape Opens. In August he travelled to Italy, where he finished 11 with a fine performance in the Reply Italian U16 Championship. In October, a maiden Sunshine Tour Junior Series win in the Cape Town Junior Open sparked a purple patch. He claimed his Open Amateur breakthrough in the Silver Salver and reinforced his status as one of South Africa’s emerging stars when he fired rounds of 68, 72, 67 and 71 on the East Course at Royal Johannesburg and Kensington to beat reigning Sanlam SA Amateur champion Deon Germishuys by two shots for the Central Gauteng Open title. Is he ready to rub shoulders with the cream of the European, Sunshine and Asian Tours in the 240-strong playing field at Randpark? Centurion Country Club’s Frade carded a five-under par 67 at the Rocklands Course to claim one of the four remaining spots. He tied for second with former Sunshine Tour champion Michiel Bothma, Marthin Scheepers and David McIntyre.